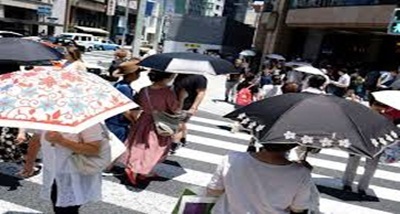 In Japan, at least 65 people were killed in an unprecedented heatwave in one week. Fire and Disaster Management Agency said in a statement that 65 people died of heat stroke while 22,647 people were hospitalised. Government spokesman, Yoshihide Suga said to protect the lives of schoolchildren, Government would supply funds to ensure that all schools are equipped with air conditioners by next summer. Yesterday, the city of Kumagaya in Saitama outside Tokyo set a new national heat record, with temperatures hitting 41.1 Celsius.